(Nanowerk News) Rice University physicists Matthew Foster and Seth Davis ’15 want to view a vexing quantum puzzle from an entirely new perspective. They just need the right vantage point and a place colder than deep space. 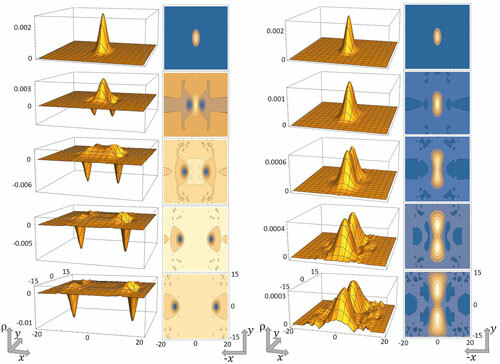 In a recent paper in Physical Review Letters ("Fractionalization Waves in Two-Dimensional Dirac Fermions: Quantum Imprint from One Dimension"), Foster and Davis, both theoretical physicists, proposed an experiment to measure fractionalization not in electrons but in atoms so cold they follow the same quantum rules that dictate how electrons behave in quantum materials, a growing class of materials with exotic electronic and physical properties that governments and industry are eying for next-generation computers and electronic devices.